Gracenet is rooted in prayer. We believe very strongly that if there is going to be any true work of the Spirit in our midst, or any true advance of the gospel in our time, we must be a church that is committed to corporate praying. Beyond our times of prayer during the service itself, one of the main ways that we try to nurture this commitment is by holding a pre-service prayer meeting. This time usually begins with a brief reading and exhortation from the portion of Scripture that we will later read at the beginning of the service. Thereafter, we trust that the Spirit will lead us as we pray and intercede for all the ministry that will be taking place that day (e.g., we pray for the preaching of the Word; we pray for the preacher; we pray for the music team; we pray for the surrounding ministry etc). We also use this time to specifically intercede for those who do not know Christ, desperately crying out to God for their salvation. God has indeed blessed these times. And we all feel very confident that what happens in that little prayer room before the main meeting, has already had a massive effect on us. Moreover, we know from Scripture that this is one of the main ways that we can best serve both the church and the city. God assures us that this service will show forth fruit of an eternal kind. With this in mind, we both exhort and welcome you to join us in this great privilege of praying. 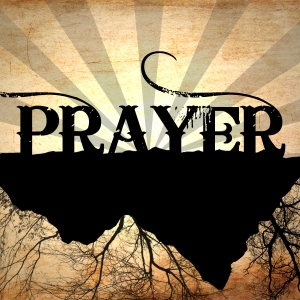 The pre-service prayer meeting begins at 9:30am (every Sunday) in the projector room at the back of the cinema. For more information please do contact us. Benny Prince (an elder at Gracenet) heads up this ministry. He will be all to happy to assist you with the information that you need.